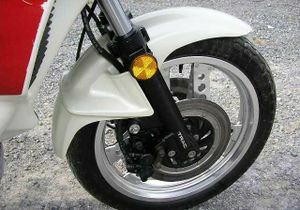 The Honda CX650T is a motorcycle produced by Honda in 1983. 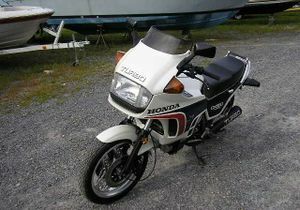 In 1983, the engine of the Honda CX500 Turbo was bumped up to 650 cc which meant an increase from 77 to 97 horsepower, making it one of the more powerful motorcycles available that year. 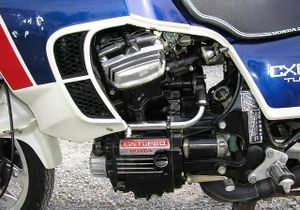 In addition to the increase in displacement, the compression ratio was increased while the maximum boost pressure was lowered, making for a less abrupt transition from off-boost to on-boost than was present in the earlier CX500 Turbo. 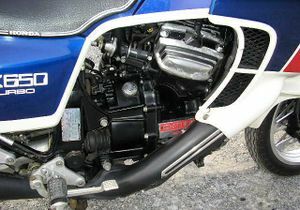 The fuel-injection control system was substantially revised for the CX650 Turbo, and the rear shock received an update as well. 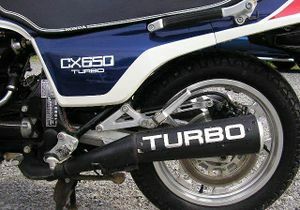 Cosmetically, the CX650 Turbo differs from its predecesor primarily in color and badging. With their complex fuel injection systems and related sensors and actuators, the CX Turbos carried high prices and were a nightmare for shade-tree mechanics. 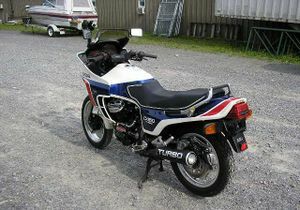 And while spiraling insurance rates were affecting all performance bikes, many insurers looked unfavorably at turbocharged models in particular, assessing them with exorbitant premiums. 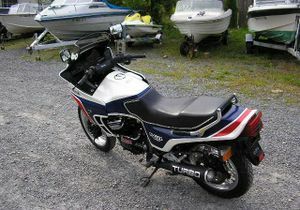 So although the whistle of the turbo and resulting kick of acceleration boiled the adrenaline of those who rode one, the CX650 Turbo—along with the imitators that soon followed—sadly suffered a premature extinction. 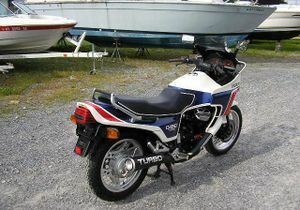 The CX650T'83 650 Turbo was sold in 1983 in one color scheme: Pearl Shell White with Candy Aleutian Blue. The body stripes were red and blue. 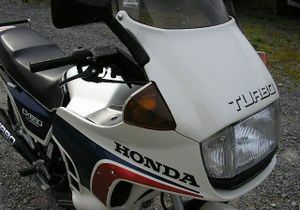 The "CX650 TURBO" decal was white. The wheels were silver. The fork legs were black. The serial number began JH2RC160*DM000024. This page was last edited on 28 November 2010, at 21:05.